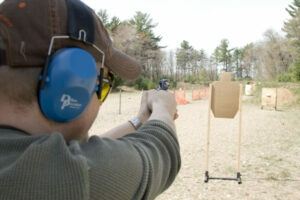 CCW: NRA Opposed to Mandatory Training? 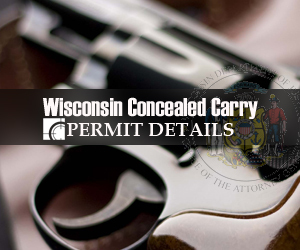 Key legislators who have supported past Right to Carry bills in Wisconsin have recently begun to demand that a mandatory training provision be a component of any Right-to-Carry bill introduced this year. The National Rifle Association (NRA) is the world’s largest firearms safety and proficiency training organization but it trusts citizens to assume this responsibility on their own. The government should not deem it necessary to micromanage the citizen exercise of essential rights. This is not the American way. The alert goes on to point out how those who stand to profit from mandatory training for concealed carry — firearms trainers — have already begun to lobby for mandatory training. More disappointingly, even some firearms instructors in the state are promoting a training mandate. These are people who should know better but they too choose to ignore the proven experience in all of these other states. While some are unfortunately motivated by what they see is the potential to profit handsomely, others are simply misinformed. They must understand that citizens are capable of deciding for themselves that attending firearms training is the responsible thing to do. Some have suggested that WGO is “anti-NRA.” They pontificate wildly that we’re only willing to point out the many stupid political moves NRA has pulled over the years. They point out the fact that we always seem to be calling attention to the nationwide gun lobby’s long history of compromise. Well, then. But the suggestion that we’ve nothing nice to say about the NRA simply isn’t true. 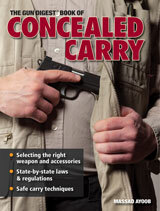 For example, the NRA publishes a fine gun publication, American Rifleman. And their shooting programs and matches are second to none. However, gun owners have begun to understand that the political side of the NRA hasn’t always acted in the best interest of gun owners. Gun activists have been forced to treat the NRA just like the politicians it has befriended, lobbying NRA leadership as though they were fence-sitting democrats. These bold gun activists should be applauded as we believe this “sea change” — or, attitude adjustment — can be credited to pressure from NRA members. So, there you have it. The NRA issued a good alert. Why just good and not great? The only way it could be made any better is to start naming names of those “key legislators” who are pushing unconstitutional mandatory training for concealed carry. However, I suspect if they did that, you’d see a laundry list of republican legislators, and that’s not good for business as usual. I also suspect many of them proudly wear “A” ratings from the NRA. And let’s face it: If you’ve already earned your A grade, is there really much incentive to improve? So what is your point? I missed it I think. Are you bashing the NRA for standing against mandatory training or applauding them? And what is the WGO’s position on the subject? We’re applauding them. And they have a great magazine. I’ve been handling guns for 60 years, and now I need training? Just more political baloney. If you have an Honorable Military Discharge or Hunter Safety Course, NO. Have you even READ THE BILL THEY PASSED AT ALL?!? I assume not. I think it is ironic, or perhaps revealing, that the Wisconsin GOP platform favors voluntary training. Judging by the hearings and the platform fact, it seems obvious that legislators do not listen to us. 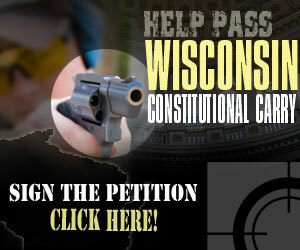 Speaking of listening, I notice that Wisconsin Gun Owners suddenly became silent a few weeks ago. Corey, where are you? Four hours is better than nothing. I’m a range safety officer and i’ve seen some very scarey things from first time hand-gun owners. in the early days, alot of people grew-up with guns from day one. not so much now. politics aside, the more training, the better. Absolutely! I have been through 2 trainings one 4 hour and one 6 hour and have learned so much, it is very important information for each permit holder to know. I learned so much from the second training on what I can and cannot do. This information will keep you from prison or worse. Training requirments imply the govt has the right to ignore the 2nd amendment AND regulate our weapons. The only purpose of the 2nd amendment is to prohibit the GOVT from regulating our weapons (no exceptions). What about someone that has NEVER handled a gun, I am all for training (ok if you have a DD214 or hunter safety)! I don’t want these bozos without any knowledge of guns to be on the streets with a concealed weapon!! Have a little common sense here!!!!!!!! We don’t want bozos living in America who want weapon control laws. Who’s dangerous ? The armed criminal, or the unarmed regulated society ?